Shanghai Greenland Shenhua F.C. 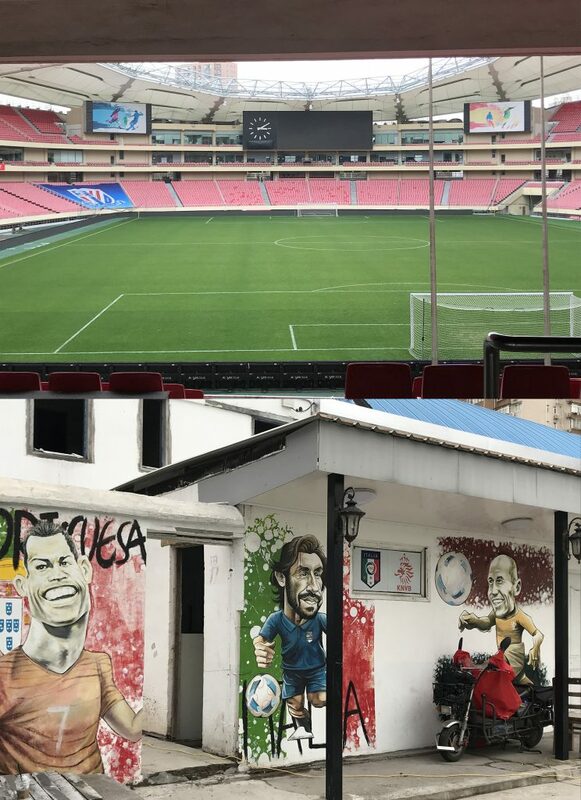 The team is based in Kangqiao, Shanghai and their home stadium is the Hongkou Football Stadium, which has a seating capacity of 33,060. Their current majority shareholder is Chinese developer Greenland Group who officially took over the operation of the club when they bought the 28.5% share from previous majority shareholder Zhu Jun on 31 January 2014. (Wiki) I saw some great player graffiti on a wall near the stadium.